These bags look smart and will have you prepared for whatever your travel plans! 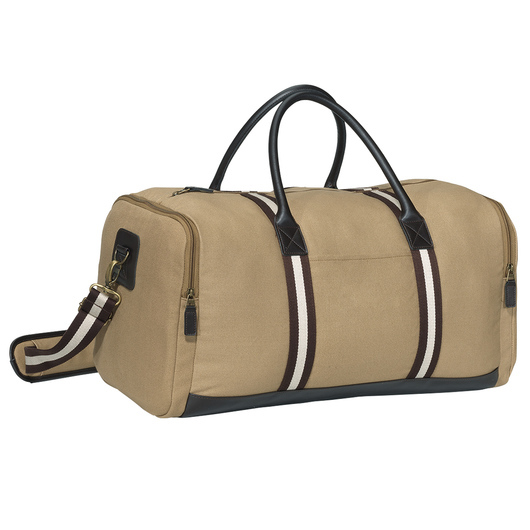 Travel is easy with this bag. Its versatile design that improves with age begs to be used! Made from 12oz. Canvas, with 37 litres capacity. 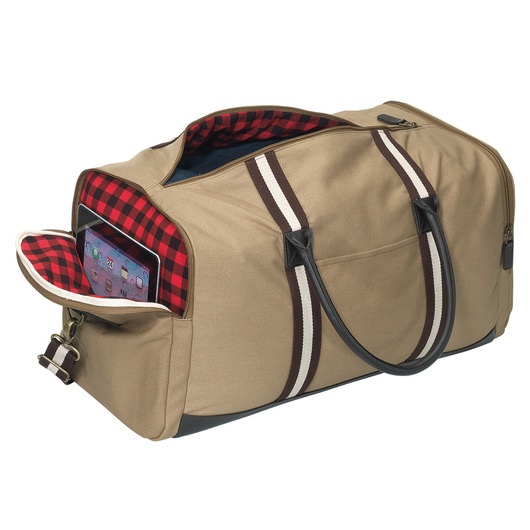 Features a zippered main compartment, front slip pocket, side zippered accessory pocket, padded zippered tablet pocket, faux leather bottom for added durability, stylish plaid interior lining, faux leather zipper pulls, antique brass hardware, reinforced comfort grab handles, and removable adjustable shoulder strap.